​The ​Eastern Conference without LeBron James is far more attractive to these Raptors, and that's not just because it's Valentine's Day. The Raptors have solidified themselves among the top four teams out East which include Boston, Philly and the resurgent Bucks. This great first half of the season has been propelled by the acquisition of Kawhi Leonard, who has ​balled out and led the team to a 43-16 record. Kawhi Leonard when facing the obiligatory free agency questions from New York media: "I'm not talking about that now. Ask me about the game." And you know what? They did. Didn't seem that hard. How much longer he will lead them is still up for debate. ​Rumors have been swirling that Kawhi might depart from Toronto after this season regardless of how far they may advance through the postseason. General manager Masai Ujiri, however, is cautiously optimistic that the Raps can hold onto the former Finals MVP. 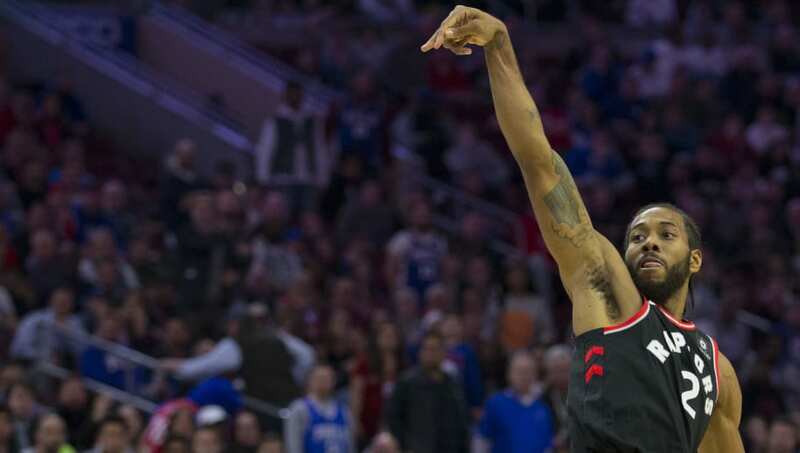 Do the #Raptors believe they can keep Kawhi Leonard long-term? The Raptors gave up their best player, DeMar DeRozan, in the trade for Leonard, so losing Kawhi this year would be a tough pill to swallow. Those unsure about the Raptors' chances to keep the Klaw long term should take a look at Oklahoma City, which managed to hold onto Paul George despite interest from LA. One thing is for sure: the Raptors are in line to take the East for years to come if they can hold on to Leonard.